With white as its basic colour and contrasting areas of red, the stand has a bright and cheerful atmosphere thanks to numerous reading lamps and neon lighting. 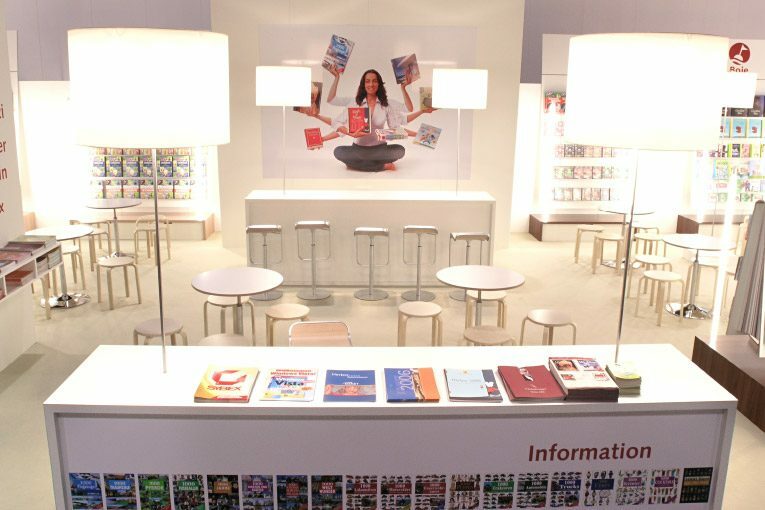 Behind tall wall shelf units where the VEMAG’s individual imprints present numerous rows of books, there is a spacious area for catering facilities and consultations. 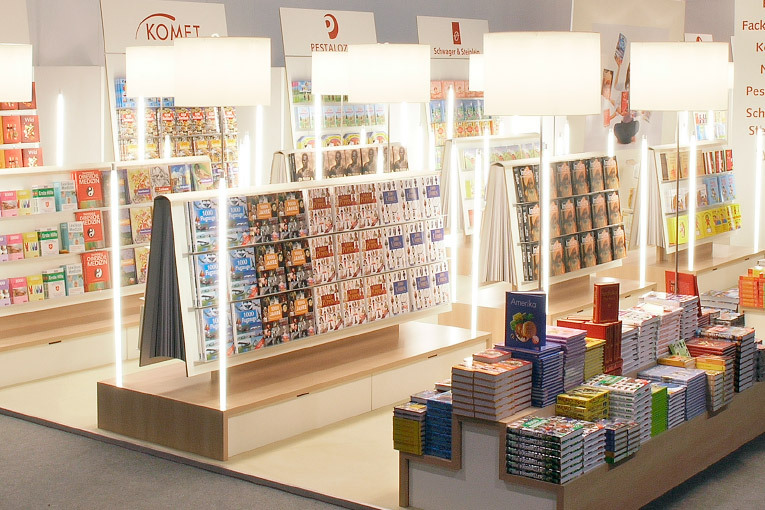 Special features of this booth, however, are the specially designed book-style book shelves – presentation shelves that look like upturned, oversized books, and bookrests displaying illustrated books.